Master drummer Abel Guie shows the world what drumming is all about. 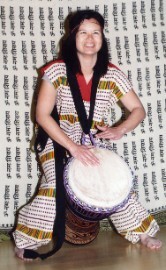 Francis makes the drum his partner. Stilt Walker and mask dancer Moha Dosso delights audiences around the world. Check out Moha's MySpace page here. Saturnin Ba came into town to dance and help prove that the Senin show was something truly worth watching. 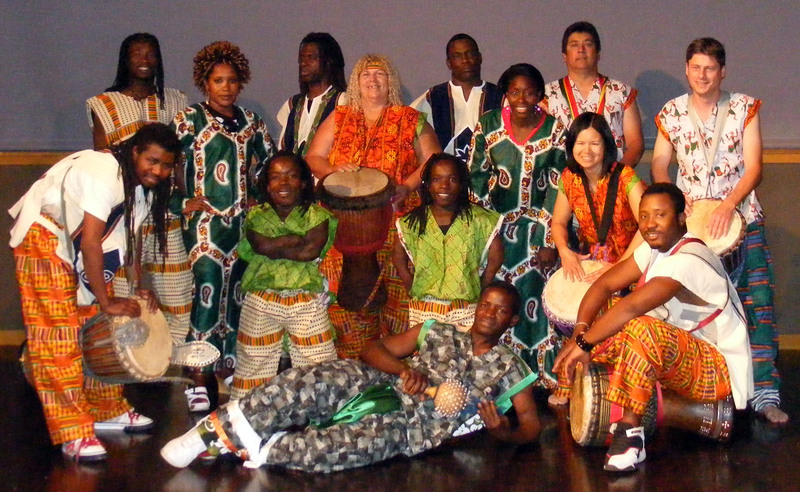 The group posed for this picture during practice for the Senin show in 2009 in the Joe Crowley Student Union at the University of Nevada, Reno. To see more photos click here. Talented dancers Adama and Aboulaye raise the energy level to an unbelievable level. Francis invited Gbozé manager Laurel (above) as well as his drum students, Diane (above right), Ricky (below) and Tim (right), to participate in the show. Click on the highlighted links for more photos and info! No one beats the skins quite like Papa. See more photos of Papa here. 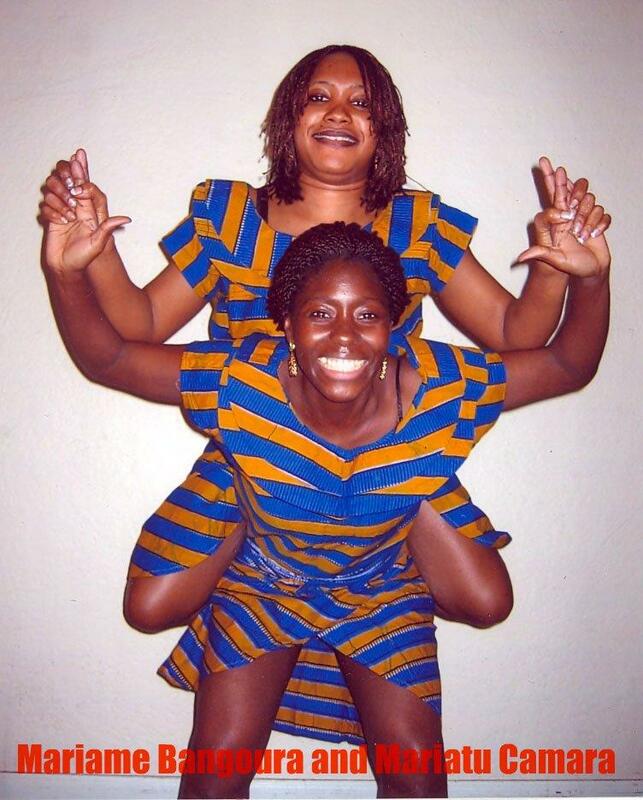 Extraordinary dancers Mariame and Mariatu from Oakland. 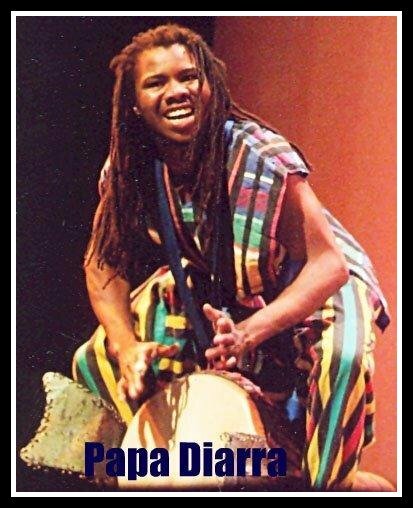 Also joining Gbozé for the Senin show was Solo Soro, griot, balafon master and drummer from Los Angeles. Learn more about Solo and his projects on his webpage.